First part of a building a custom PC should start with carefully picking out the right components. That whole process of picking a processor, graphics card, motherboard, memory, storage, power supply and computer case might seem daunting – but all it really takes is research and planning. Luckily for you we’ve broken down the intricacies of figuring out the best parts to build a PC. We’ll set you on the right path even before you start comparing specs, as having a good sense of where you want your PC build to go is the first step of the journey. Rolling your own computer offers a number of advantages that boxed desktops just can’t match, even though inflated component prices have made DIY computers less of a deal these days. 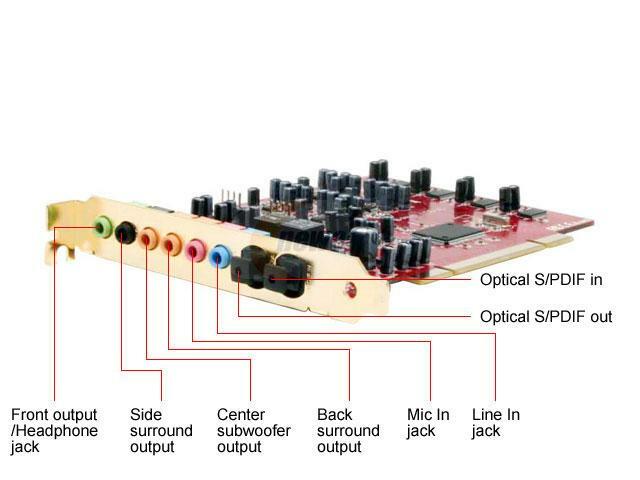 You still get granular control over every single aspect of the hardware. You still get to choose not only the nuts-and-bolts-level details like processing and graphical performance, but also deeply personal touches like the PC’s case design and cooling capabilities. 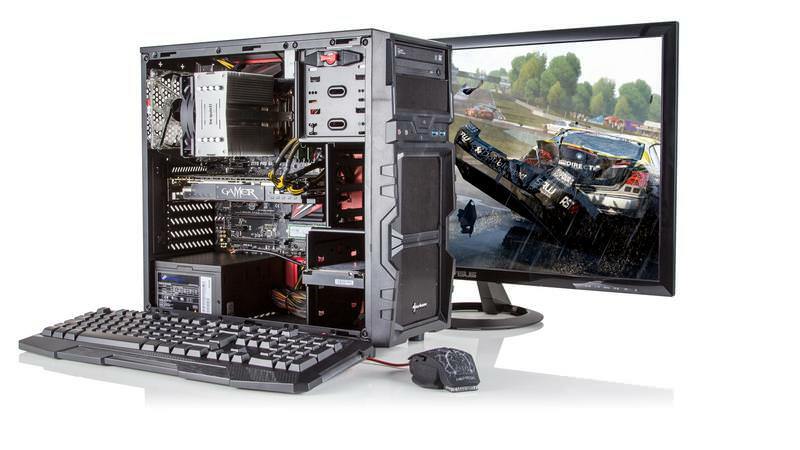 You can also save money by building your own PC rather than buying it from a retail store. Every build should start with two key things. The budget is obvious, how much cash are you willing to drop on your shiny new rig. Second most important is to finding out exactly what you want to do with your brand new machine. Though all computers are undoubtedly capable of doing every task to some degree, it’s better to specialize in what you’re most passionate about. The lower the budget, the more you’ll have to stretch every buck to acquire multiple computer parts. The different builds will maximize both savings and performance. The processor or CPU is the engine that drives the PC. The CPU is the brain of the computer. It's job is to take information from the various input devices, the operating system, and software and execute the instructions that it has been given. The CPU you use determines how fast the system runs and what operating systems and other software can run on it. Choosing the best processor starts with deciding between AMD or Intel as they’re the prevailing chipmakers in this category. From there, it’s a matter of picking the right part for your budget. AMD Athlon as well as Intel Pentium and Celeron are affordable and best suited for basic computing tasks, media playback and simple lifestyle applications. Meanwhile, Intel Core and AMD Ryzen serve the widest gamut of users looking to build anything from a cheap HTPC to an enthusiast gaming PC. Lastly on the high-end tier, there are the Intel Core X and AMD Ryzen Threadripper for more intense workloads like video production, 3D modeling and streaming gamers. Intel’s Core i5 series of processors has traditionally been the go-to chip for gamers. And so for the best bang for the buck, the i5 was and still is ideal. 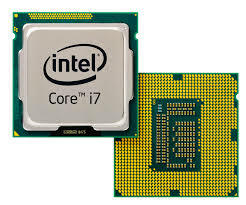 The i5-8400 is the perfect chip for those on a budget, as it’ll keep pace with last gen’s top-end Intel Core i7-7700K in most computational tasks. The Ryzen 5 2600X have six cores and which can execute 12 threads with help from multi-threading technology, and a whole ton of spare processing power for any and all applications you’re running on the side, making it perfect for streaming. 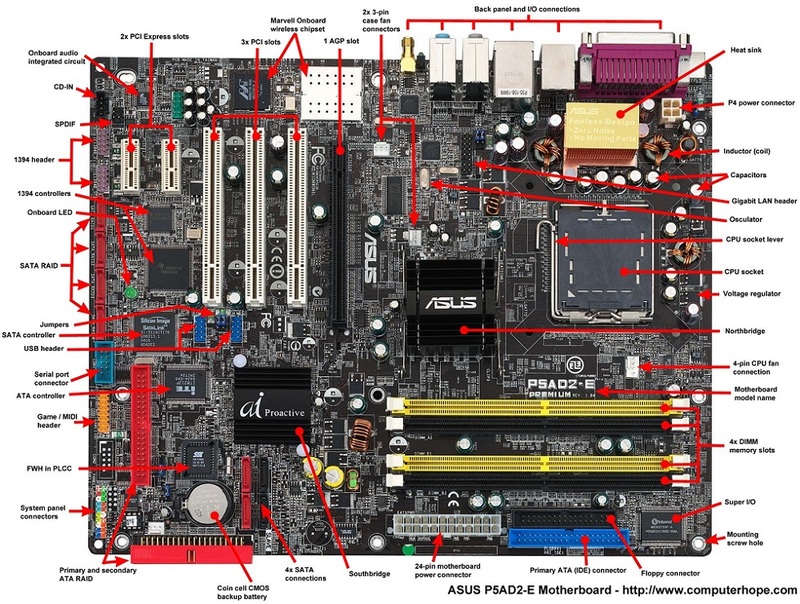 The motherboard, is the heart of a PC (Personal Computer). It serves as "Command Central" to coordinate the activities of the system. Virtually every internal component in a PC connects to the motherboard, and its features largely determine what your computer is capable of, not to mention its overall performance. Several common form factors are used for PC motherboards. The form factor refers to the physical dimensions (size and shape) as well as certain connector, screw hole, and other positions that dictate into which type of case the board will fit. Depending on what CPU you choose, you’ll be locked into a selection of motherboard with a variety of different features available to you. ATX, E-ATX and XL-ATX form factor motherboards are geared towards vast storage solutions, and hefty graphics card setups. And if you’re after a smaller system, Micro-ATX or Mini-ITX is your jam, providing a more compact size – though at the cost of fewer slots for graphics cards and other PCIe add-in cards. From there your choice of processor will also determine, which motherboard will work with your system. This includes ensuring the CPU sockets lineup as well as having the right chipset. For example, Intel Coffee Lake and Kaby Lake chips technically fits on the same LGA1151 socket, but the former requires a 300-series chipset while the latter was launched with the 200-series chipset. Similarly, Ryzen and Ryzen 2nd Generation both share the same AM4 socket, but the latest AMD chips see the most benefit from the latest X470 platform. It’s always worth remembering that your choice of motherboard will ultimately dictate your feature-set, memory and storage, your case, and how well your chip will overclock (if you invest in an unlocked part). Modern motherboards often include embedded functions, such as video and sound (and, less commonly, LAN and SCSI interfaces), that were formerly provided by add-on expansion cards. Embedded components reduce costs, and are better integrated and more reliable. Against those advantages, it may be difficult or impossible to upgrade embedded components, and you pay for those embedded components whether you use them or not. Integrated motherboards are often ideally suited for casual use. 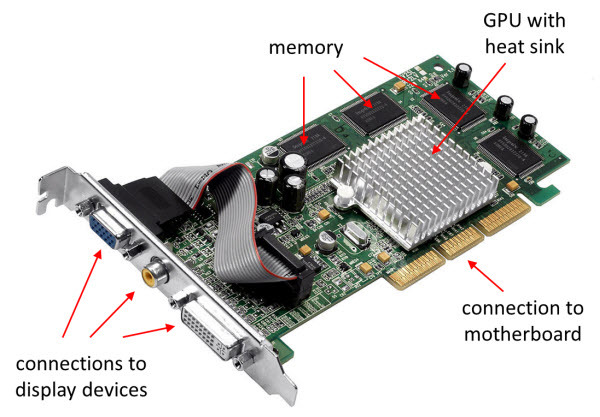 A Graphic card, also called a graphics adapter, accepts video data from the computer and converts it into a form the monitor can display. In addition to image quality, the video adapter you use determines the sharpness, number of colors, and stability of the image your monitor displays. The video processor (also known as the video chipset, video graphics processor, or GPU) is the heart of any graphic adapter and essentially defines the card’s functions and performance levels. Two graphic adapters built using the same chipset will have the same basic capabilities. However, cards built using the same chipset can vary in the clock speeds at which they run the chipset, memory, output ports, and other components, as well as in the amount and type of memory installed. Therefore, performance can vary. Most discrete graphic adapters rely on their own onboard memory that they use to store video images while processing them. The amount of video memory determines the maximum screen resolution and color depth the device can support, among other features. Although having more video memory is not guaranteed to speed up your graphic adapter, it can increase the speed if it enables a wider bus (for example, from 256 bits wide to 384 bits wide). Video RAM speed is typically measured in MHz, GHz, or by bandwidth in Mb/Gb or MB/GB per second. Faster memory and faster GPUs produce better gaming performance, but at a higher cost. While PCs can get away with just integrated graphics for simple tasks and even 4K streaming, creating your own media and gaming box requires the discrete graphical power that only an dedicated GPU can offer. If your aim is to game at 1080p, the GeForce GTX 1060 3GB is for you. It’s the best bang-for-the-buck card out there is, capable of easily hitting 60fps in most, if not all AAA titles at 1080p. It won’t let you down for at least the next 3 years. If you really do need the extra VRAM for memory intensive games (here’s looking at you Witcher 3), then simply pump up for the 6GB variant instead. There are alternatives out there, AMD’s Radeon RX Vega 64, Vega 54 and RX 580 (if you can find them), are fantastic combatants to this card, but they just can’t keep up on a pricing level. A PC uses Random Access Memory (RAM), also called simply memory, to store the programs and data with which it is currently working. Memory performance is crucial to a speedy system. Slow memory can bottleneck the system and reduce the processor’s effectiveness. RAM is available in many different types, speeds, and physical packages. The amount and type of RAM a system can use depends on its chipset, the type and number of RAM slots available, and other factors. The optimum amount of RAM depends on the operating system you run, how many and which programs you run simultaneously, and other considerations. Adding RAM is often a cost-effective upgrade for older systems, many of which have woefully inadequate RAM to run modern operating systems and programs. RAM is volatile, meaning that it doesn’t store data when powered down. RDRAM (Rambus Dynamic Random Access Memory), and high-bandwidth memory called DDR SDRAM (Double Data Rate Synchronous DRAM). 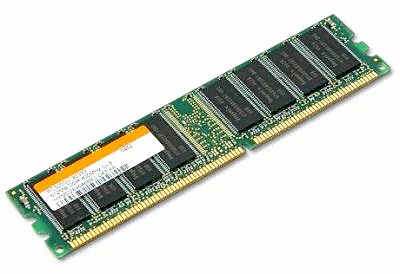 Rambus DRAM runs at higher frequencies than DDR memory. RDRAM is available at 800MHz, 1066MHz, and 1200MHz. Only certain Intel chipsets work with RDRAM, and it’s more expensive than DDR memory. The various speeds are referred to as PC800, PC1066, and PC1200. Like DDR memory, RDRAM transfers data twice during each clock cycle. DDR memory is available at effective speeds up to 400MHz. It’s called both PC3200 and DDR400, depending on where you read it. 400MHz DDR memory actually runs at 200MHz, but it performs data transfers twice per clock cycle. Specification to look for when choosing RAM is the CAS (Column Access Strobe) latency. The higher the latency, the longer memory takes to respond to data requests. CAS latency time of 2.5 cycles means that after the memory controller has tapped the memory for data from a certain address, it takes two and a half clock cycles for the memory to respond. The lower the CAS latency, the faster the memory. Depending on your motherboard, you may be able to use the BIOS setup program to “force” the computer to run with a lower CAS latency time, but the PC might become unstable. The Corsair Vengeance LED, HyperX Fury, and G.Skill Rampage V are all memory kits of choice that mix together a blend of affordability, speed and reliability. 16GB (2x8GB) of dual channel DDR4 running at 3200 MHz is ideal for gaming at 1080p for now, and should future-proof you for the next 3 to 4 years at least. Keep in mind, motherboards don’t support unlimited memory speeds, so check the specification before buying incredibly fast memory. For example it would be a waste to get 4,000MHz speed RAM and find out it could only reach up to 3,000MHz because of the motherboard’s limitations. 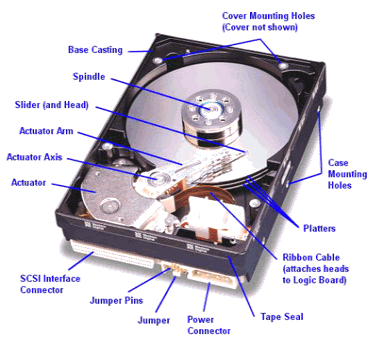 The hard disk drive (HDD) is the primary storage device on any PC. Unlike RAM, which retains data only while power remains applied, data written to an HDD remains stored there until you delete it. HDDs are sealed units used for nonvolatile data storage. Nonvolatile, or semipermanent, storage means that the storage device retains the data even when no power is supplied. Much like the increases in drive capacity and performance, the speed of the interface has come a long way. Modern interfaces offer data transfer rates of up to 133MBps for Parallel AT Attachment (ATA), up to 600MBps for Serial ATA (SATA) and Serial Attached SCSI (SAS), and up to nearly 2,000MBps for SATA Express. SSDs have changed that game and have been pushing the industry to develop faster interfaces. Over the years, disk drives have been introduced in several industry-standard form factors, usually identified by the approximate size of the platters contained inside the drive. Form factor standards ensure that available drives will fit in the bay, the screw holes will line up, and the standard cables and connections will plug in. Currently, 3 1/2-inch drives are the most popular for desktops, whereas 2 1/2-inch and smaller drives are popular in laptops and other portable devices. Although speeds can vary, modern drives typically spin the platters at either 4,200 rpm, 5,400 rpm, 7,200 rpm, 10,000 rpm, or 15,000 rpm. Most standard-issue drives found in PCs today spin at 7,200 rpm, with high-performance models spinning at 10,000 rpm, although many less-expensive drives still spin at 5,400 rpm. Likewise, storage comes in a myriad of forms and rated speeds. Hard drives are fantastic for holding a ton of data at a very low cost. 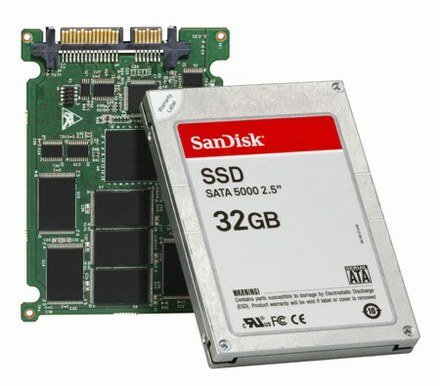 Meanwhile, SSDs can be exponentially faster, but opting for massive capacities will cost you a lot. They’re all you need for a quick nippy system and we wholeheartedly recommend the Samsung 860 Evo. Install your OS on here, and some choice games and watch your load times and general user experience fly away. NVMe drives are also all the rage as they can offer five-to-six times faster data transfer speeds and there are even some affordable options in the market now. The Adata XPG SX8200 is a fantastically affordable and quick drive. If you want to just jump into the top-shelf stuff, the Samsung 970 Evo and WD Black NVMe SSD are among the fastest drives you’ll encounter today. We recommend picking up a at least 1TB HDD as well if you can for storing your personal files. Western Digital’s Blue drives are usually a great place to start, and you can pick those up with a great deal most of the time. The power supply unite (PSU) provides regulated power to all system components and cooling airflow to keep components from overheating. The power supply is not only one of the most important parts in a PC. I consider the power supply the foundation of the system and am willing to spend a little extra to get a more robust and reliable unit. The power supply is critical because it supplies electrical power to every other component in the system. A malfunctioning power supply not only can cause other components in the system to malfunction, but can damage the other components in your computer by delivering improper or erratic voltages. The power supply in a conventional desktop system is designed to convert either 120V (nominal) 60Hz AC (alternating current) or 240V (nominal) 50Hz AC power into +3.3V, +5V, and +12V DC (direct current) power. A reliable power supply is the most crucial part of your PC build as it’s responsible for supplying power to run any and all of the other components in your computer. Without this crucial foundation, your PC will fail to even start and a system built on shaky ground is also doomed for failure. In the real world it’s unlikely you’ll ever need more than a 650W for a single GPU build like we recommend here. 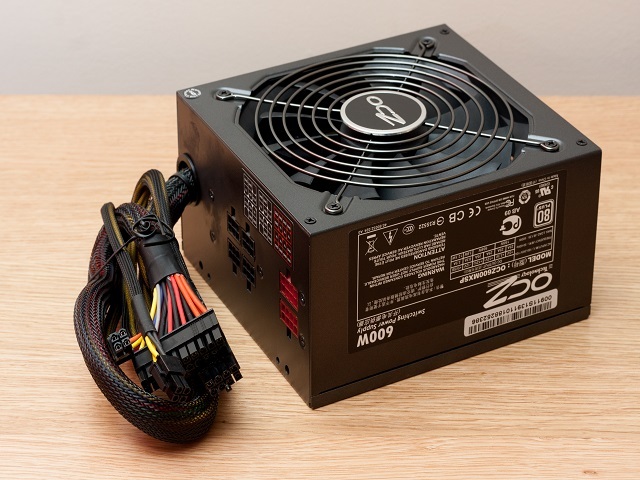 When shopping for a PSU it’s advisable to get one with 20% more capacity than you’ll need: 10% for overclocking, and another 10% so you’re not running your PSU ragged at all times. The higher the efficiency rating (from good to best; bronze, silver, gold, platinum, titanium), the less electricity you’ll waste as heat. The case (or chassis) is the outer shell that contains the PC and all internal peripheral devices. 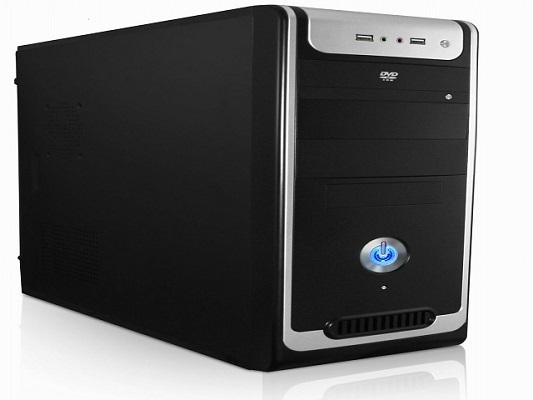 PC cases are available in a bewildering array of sizes, shapes, and prices. Form factor is the most important thing about a case because it determines which motherboards and which power supplies fit that case. Cases are available in a variety of sizes and orientations, including low-profile desktop, standard desktop, micro-tower (for microATX boards), mini-tower, mid-tower, and full-tower. Low-profile cases are popular for mass-market and business-oriented PCs, but we see little purpose for them. As far as chassis choice, it all starts with size of the motherboard you’re using for your build. Make sure you pick up a case with good airflow, and one that’s the correct size for your new system. You’re going to need a decent CPU cooler to chill either the Ryzen or the Intel chip of your choosing. 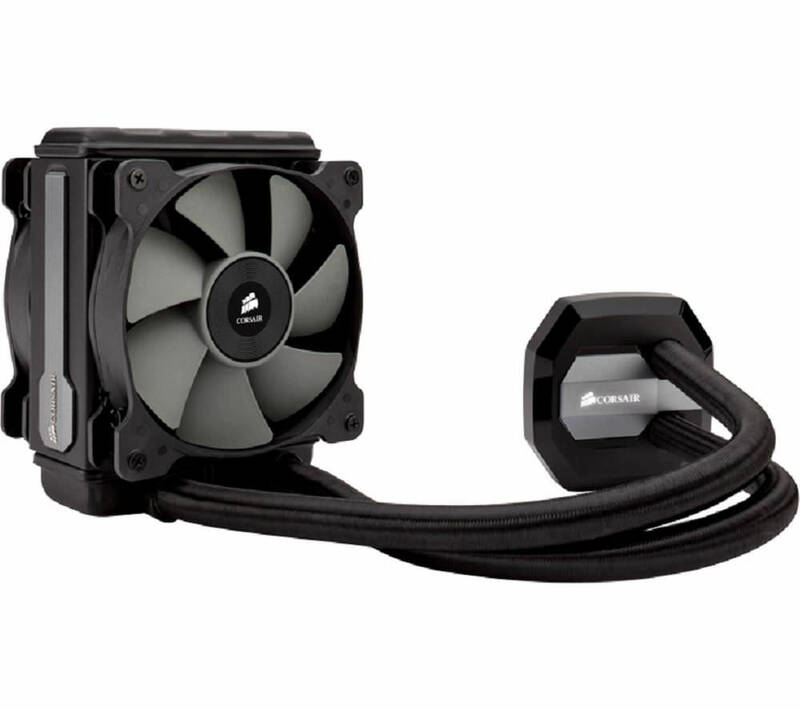 CPU coolers split into two main types: air-coolers and liquid-coolers. Air coolers as you might have guessed use air to push heat through an array of heat pipes and fins called a heatsink. These types of CPU coolers are generally affordable and easy to install. Liquid-coolers on the other hand are a bit more complicated as they use a closed loop of coolant to keep processors chilled. These are often more efficient and can keep your CPU running at lower temperatures than an air cooler. The only downside is these liquid-cooling units can be more expensive and intimidating to install at first. Regardless of which type of CPU cooler you get, you’ll want to make sure the product you choose is compatible with your system. If you’re going Intel, you’ll need the standard the LGA 1151 socket that supports most mainstream Core processors. If you’re going with AMD, the AM4 socket is what you should look out for. Always make sure your cooler is compatible with your case, and the socket and processor that you’ll be mounting it to. Luckily, most coolers come with an assortment of accessories that make them compatible with either platform and even more. CD-ROM drives began to appear on mainstream PCs in the early 1990s, became ubiquitous, and have remained generally unchanged except for improvements in speed and reliability. The first type of optical storage that became a widespread computing standard is the CD-ROM. CDROM (compact disc read-only memory) is an optical read-only storage medium based on the original CD-DA (digital audio) format first developed for audio CDs. Other formats, such as CD-R (CD-recordable) and CD-RW (CD-rewritable), expanded the compact disc’s capabilities by making it writable. CD-ROM drives can also play CD-DA (audio) discs and multimedia discs, which makes them popular for listening to music and playing games. CD-R and CD-RW drives, which can write discs as well as read them. which are the follow-on to CD-ROM, and may be used to watch movies or access very large databases—and DVD writers, which function much like CD writers but store about seven times as much data. DVD in simplest terms is a high-capacity CD. In fact, every DVD-ROM drive is a CD-ROM drive; that is, it can read CDs as well as DVDs. (Some older standalone DVD players can’t read CD-R or CD-RW discs, however). 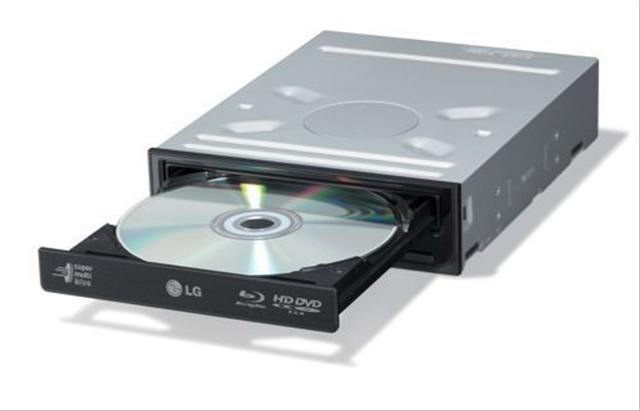 Fortunately, all recent optical drives support DVD-ROM, DVD-R/RW and DVD+R/RW media, including dual-layer (DL) DVD+R media, and most also support DVD-RAM. The access time for an optical drive is measured the same way as for PC hard disk drives. In other words, the access time is the delay between the drive receiving the command to read and its actual first reading of a bit of data. Access rates quoted by many manufacturers are an average taken by calculating a series of random reads from a disc. Most optical drives include internal buffers or caches of memory installed on board. These buffers are actual memory chips installed on the drive’s circuit board that enable it to stage or store data in larger segments before sending it to the PC. A typical buffer can range from 2MB up to 8MB or more (depending on the drive). Generally, faster rewritable drives come with more buffer memory to handle the higher transfer rates. The monitor you use ultimately determines the quality of the video you see. 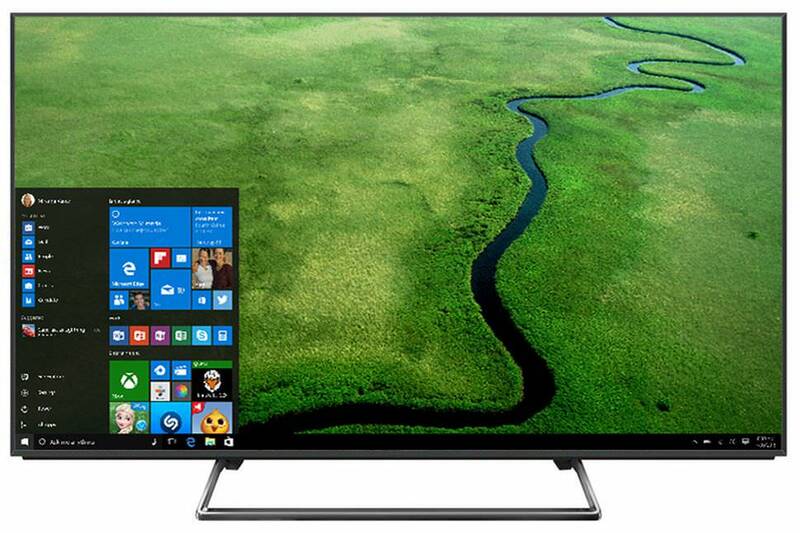 Most PCs use flat-panel LCD displays and are an increasingly popular choice. Displays are available in a wide variety of sizes, capabilities, features, and prices, and choosing the right one is not a trivial task. PC monitors come in various sizes, generally ranging from 15 inches to 30 inches in diagonal measurement. Resolution indicates the amount of detail a monitor can render. This quantity is expressed in the number of horizontal and vertical picture elements, or pixels, contained in the screen. The total is usually expressed in the millions of pixels, or megapixels. As the resolution increases, the image consists of a greater number of pixels. With more pixels, you can see more of a given image, or you can view the image in greater detail. 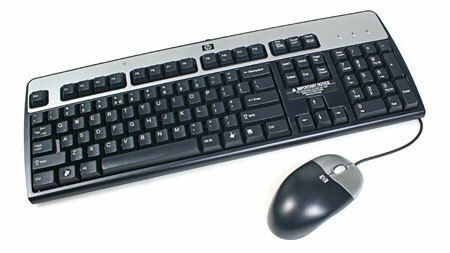 PCs use several types of devices to accept user input—keyboards for entering text; mice, trackballs, and other pointing devices for working in the Windows graphical environment; and game controllers for playing modern graphical computer games and simulations. One of the most basic system components is the keyboard, which is the primary input device. You use a keyboard to enter commands and data into the system. In computing, a mouse is a pointing device that detects two-dimensional motion relative to a surface. This motion is typically translated into the motion of a pointer on a display, which allows for fine control of a graphical user interface. Membrane keyboards aren’t exactly ideal for gaming. So, when you go out looking for the best gaming keyboards, you should keep an eye open for any that feature mechanical switches – as they allow for deeper and more accurate travel, so you can say goodbye to accidental key presses. ll PCs can produce basic warning sounds and audible prompts using their built-in speakers, but for listening to audio CDs, playing games, watching DVDs with full surround sound, using the Internet to make free long-distance telephone calls, using voice-recognition software, and performing other PC audio functions, you'll need a sound card (or embedded motherboard sound adapter) and speakers or headphones. Hopefully we’ve helped you create a complete list of components ready enough to construct a complete PC.